Amazing. That’s the handy work of the incredible @Jodes0405 – an amazing tribute to Tony Gwynn and Jerry Coleman. 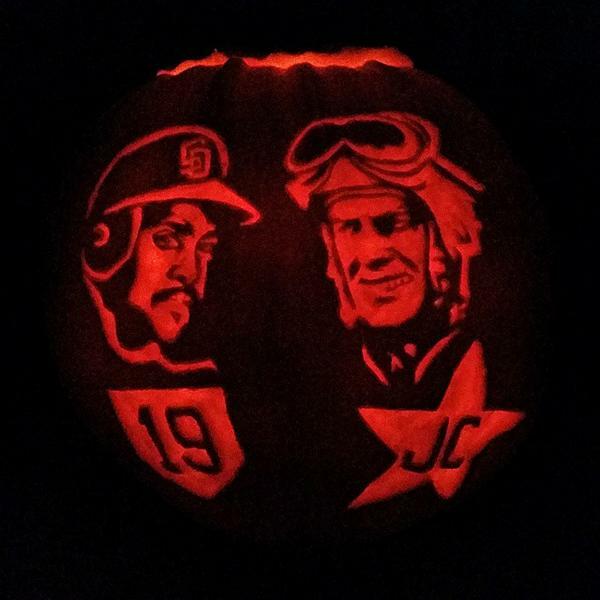 This entry was posted in Baseball and tagged #PadresPumpkin, jerry coleman, Padres, padres pumpkin, Tony Gwynn. Bookmark the permalink.